After realizing that there were no new machines that met my requirements, I turned to ebay and the cycle-trader online to find a bike. 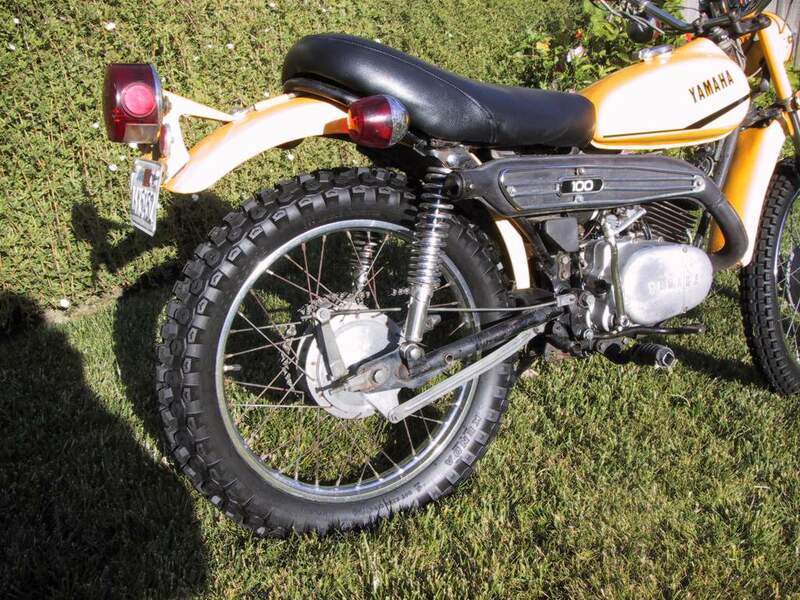 I thought about and saw a bunch of Honda 90 Trails, Honda CT70's, old and new Yamahas, Kawasakis and Suzukis. I looked at later model 200cc 4 stroke dual sports for a while before giving up on that idea. I looked at bikes all over the country before narrowing my search to vehicles that were already registered in California. I'd heard it could be hard to import a 2 stroke dual purpose machine into CA due to the smog and noise restrictions, and for the first bike, I wanted to make sure that I could register it. 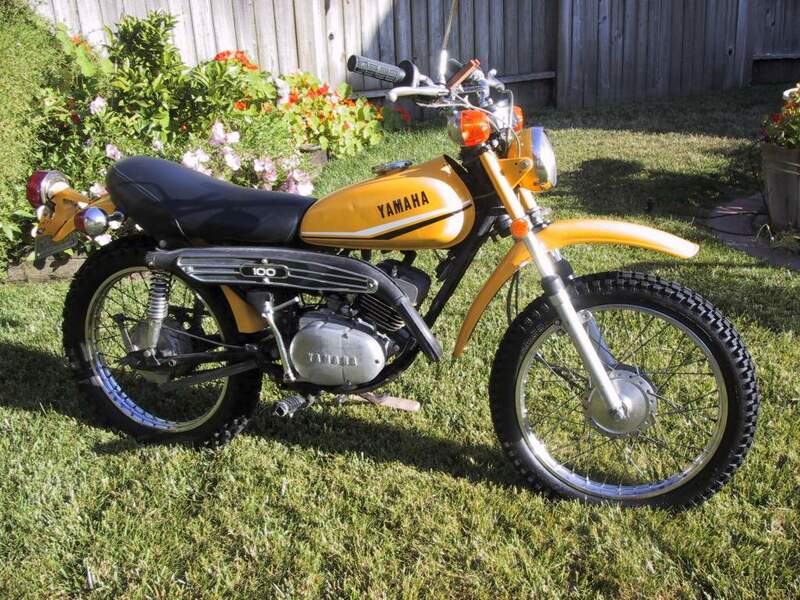 It came down to the early 70's Yamaha Enduros. 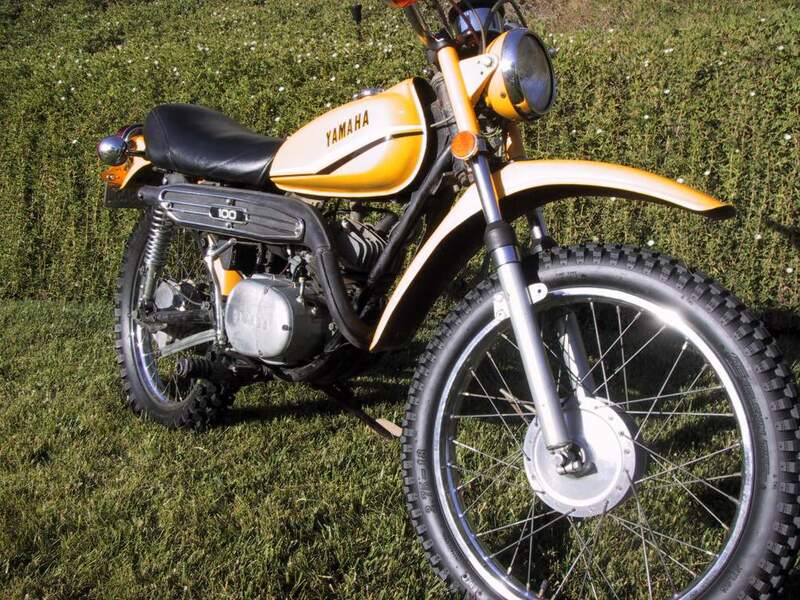 They were probably the most prevalent brand in the 70's and now seemed to be the most available, not only as complete bikes, but in parts availability, both used and, believe it or not, after 32 years, new parts as well. Yes, it was still possible to find new parts for these bikes at Yamaha dealers ... in their original dusty packaging, but that's another story. 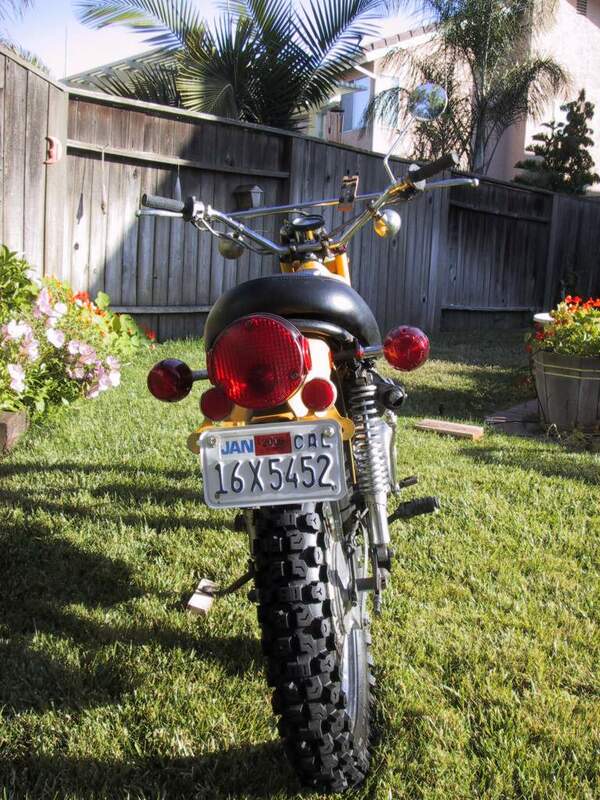 I looked at 125's and 175's, I saw a couple of 100cc bikes called LT2's that were available in other states, but nothing came up in California on ebay for several weeks. In the meantime, I'd also looked at rentals. The problem was that the cheapest rentals were like $150/day, and by the time I added it up, it would take $500-600 to put together a single weekend with a couple of bike, to even try them to see if I liked them. By buying one, I figured that worst case, I could take it out a few times, and if I didn't like it, could sell it at a small loss. 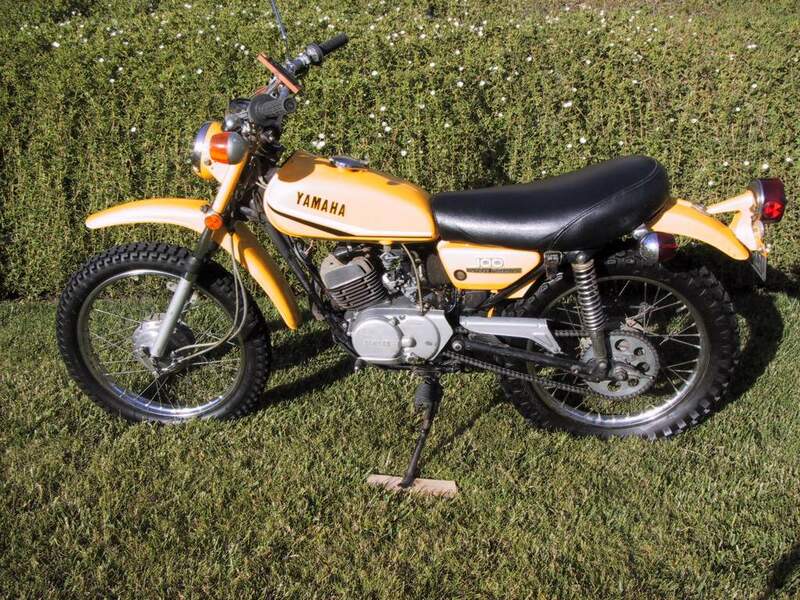 Then one day I did my search and found a guy in Carlsbad, not 30 miles away, that was selling a 1972 Yamaha LT2 in good running condition with 4832 miles on it. I was so happy to find one, that I called him on the phone and said I'd come over and look at it, and if I liked the bike, I'd give him his buy-it-now price of $700. Perhaps that's a bit much, but compared to the rentals, it sounded like a worthy risk. So, I drove up and looked at the bike, rode it up and down the street a few times, and bought it on the spot. Within a week I had it insured and registered and took my written test for the motorcycle license. So now I had to try the Yellow Hornet in the dirt. I was still not sure about how to carry it, so for a quick trip, in the middle of the week, my buddy Mark came over with his Jeep and we strapped it onto his hitch mounted luggage rack and headed out to the desert for a 26 mile traversal of the Ocotillo Wells OHV area with him in his Jeep and me on the bike. Boy was I sore the next day, but I can't remember when I've had that much fun! The bike did fine and after the ride we strapped it back on the jeep and returned home before nightfall.